The Madison River has dropped after a recent pulse to help cool the river off which has certainly helped the fish and anglers alike. Expect your best fishing early and late on hot bright days, although hoppers have been effective right through the hottest part of the day. We’re catching fish on the Upper Madison River from Lyon (FAS) to Palisades (FAS) on Caddis, Spruce Moth’s, Cadis and PMD’s on the surface. Bunny and beadhead nymph combo’s as well as Stonefly and mayfly nymph patterns fished dead drift under an indicator are effective the entire river. DRY FLIES: Caddis, Nocturnal Stoneflies, PMD’s , Spruce Moth’s and Hoppers are all on the trout’s menu right now. Elk Hair Caddis, Goddard Caddis, often in tandem with a Matthew’s Iris Caddis is a favorite. (Trimmed down) Chubby Chernobyls in olive, tan or golden. Size # 8-10. Try a Fat Head Spruce Moth, Parachute Spruce Moth or Elk Hair Caddis size # 10-12. Try a CFO Hopper, Morrish Hopper, or Clodhopper in tan, yellow, pink or peach size # 8-10. NYMPHING: The standard two fly rig under an indicator is still very productive on the Madison. Set your indicator 5 feet above your first fly and tie a dropper off the bend of the hook to your second fly. 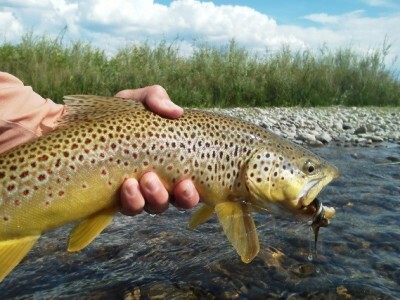 Try a Pat’s Rubber Leg Stone Fly Nymph in brown, black, olive, or tan and brown sizes #6-10. 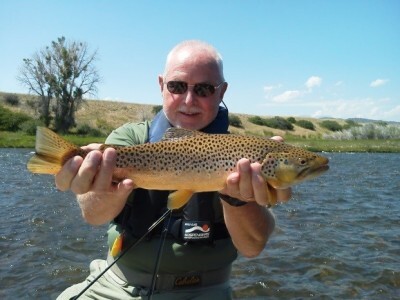 STREAMERS: The streamer bite is still good but expect some afternoon lulls. Try a dead drift, tight line or under an indicator with a beadhead dropper. The bunny and a bead game is still good! 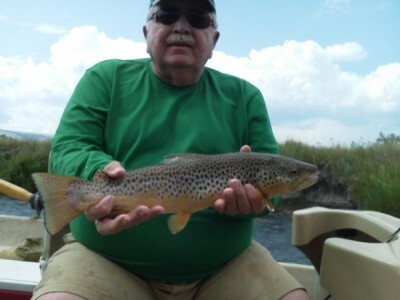 Try a Zonker, Mini Loop Sculpin, Whitlock’s Hare Sculpin or Shelia Sculpin in natural and olive sizes #4-8. Add a beadhead dropper 15-18″ off the bend of the hook. TIPS: Bring plenty of sun block, water and bug dope. 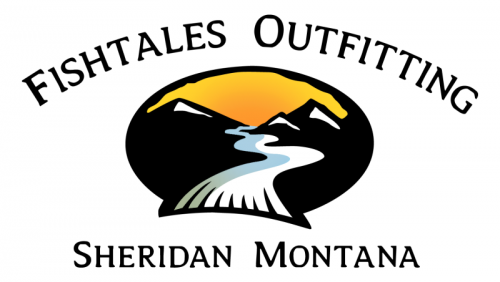 For more information on Montana fly fishing and guided fishing trips on the Madison River please contact FishTales Outfitting.